Today is the opening of Notorious & Notable:20th century Women of Style at the Museum of the City of New York. The exhibition, in collaboration with The National Jewelry Institute, explores the lavish attire of eighty New York socialists such as Mrs. Cornlius Whitney Vanderbilt, Jacqueline Kennedy Onassis, Babe Paley and the Duchess of Windsor. In a promotional interview she gave in the September issue of W magazine, curator Phyllis Magidson is quoted saying that the women featured in the exhibition were selected for their “personal and professional status in New York City- stature in society, culture, profession….. These women coincidently share unique aspects of appearance- attire, hair, jewelry- which make them distinctive and recognized either today or in their own time. Their names and faces are iconic in the social history of New York City”. Some of the dresses on the exhibition were purchased for astronomical sums, more than $200,000 in today’s value, jewelry rising up to $1,000,000. As I am sure I will see and enjoy the exhibition, it got me thinking- is money, expensive gowns and fabulous jewelry are enough to turn one into a style icon? I can think of at least one example that proves other wise. As a child I was obsessed with anything Spanish. I remember myself, at 7 or 8, listening to a record of the opera Carmen with my father. As we listened to the mesmerizing music my father described the plot scene by scene, in my mind’s eyes I could see it all – the beautiful Flamenco dancers, their traditional costume in bold colors, the drama, emotion and tragedy. I also had a collection of traditional hand fans and porcelain figurines of which many were of Flamenco dancers. Looking back I realize not much have changed, the opera Carmen still brings tears to my eyes and I still find the Spanish culture to be one of the most fascinating in the world. It is no wonder than that my favorite Couturier is Spanish (Cristobal Balenciaga), my favorite music is Spanish (Flamenco), one of my favorite filmmakers is Spanish (Pedro Almodovar) and my ultimate style icon is also known for her resemblance to Cubist portraits pioneered by the most famous Spanish artist (Pablo Picasso). 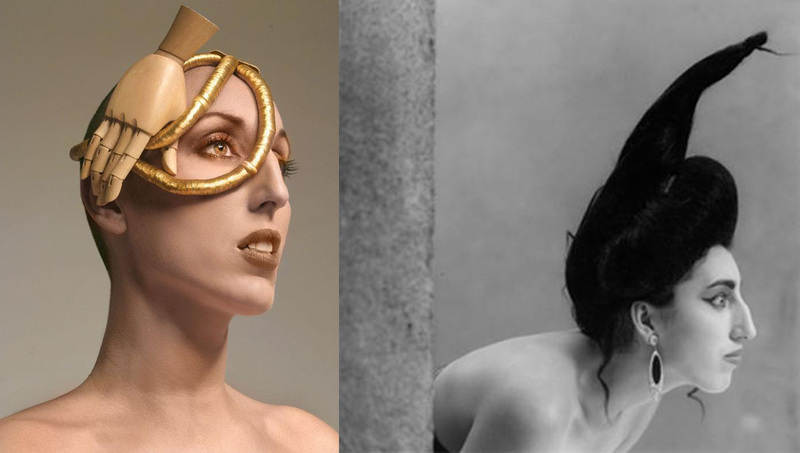 Rossy de Palma was born September 16, 1964 in Palma de Mallorca, Spain. In the early 1980s she was a singer and a dancer for the band Peor Imposible (“Worse impossible”). Her big break came in 1986 when she was discovered by Pedro Almodovar at a café in Madrid. 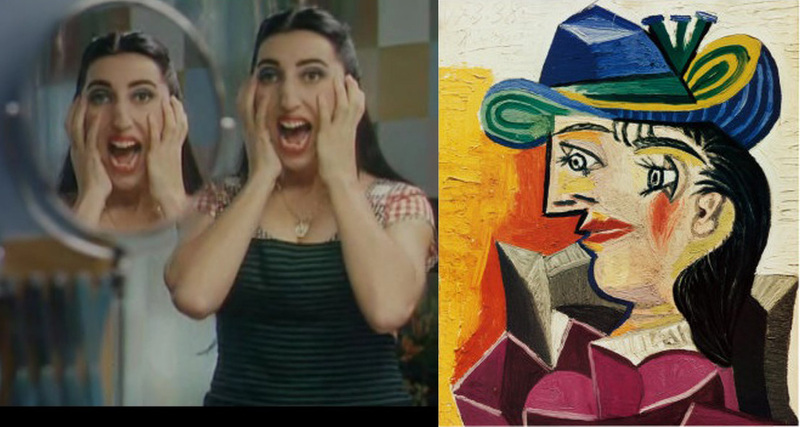 Almodovar gave her a small role in the film Law of Desire with Antonio Banderas and the nick name “the cubist beauty”. Over the years they collaborate in iconic films such Women on the Verge of a Nervous Breakdown, Tie me up! Tie me down! and of course Kika. Like most Spanish artists, Almodovar is notable for his ability to create distinctive visual imagery, de Palma’s strong features and personality fits right in. She is by no means an ordinary beauty, in fact most people will consider her ugly, but she inspired fashion designers, photographers and of course film and theater directors because of the confidence with which she carries her unique features. She has a distinct personal style, and it surfaces even when she plays a character on stage and screen. She is in fact better known for her persona than she is for her acting or singing. In 2009 she designed a collection of hand fans for Louis Vuitton, and earlier this year she stared in a viral campaign for the promotion of their Spanish online store. At first it seems a surprising decision to use de Palma for the campaign, as Louis Vuitton’s aesthetic is synonymous with luxury and slick style while de Palma is somewhat perceived as a quirky gimmick. I believe that Marc Jacobs is attracted to the fact that Rossy de Palma is in itself a product, a product of her unique sense of style. Jacobs is certainly not the first designer to appreciate a woman of personal style and confidence. Dior had Mitza Bricard, Yves Saint Laurent had Loulou de la Falaise and Karl Lagerfeld finds a new muse every few years (Cat Power, Lily Allen, just to name a few). Style, unlike mere beauty, is a true talent, and somewhat elusive. What is it that makes one stylish? How come one person who is groomed by an army of stylists and has access to the most expensive and coveted clothes still lack all personal style (Gwyneth Paltrow anyone? ), While others can simply throw on a fuzzy thrifted sweater and look so stylish and unique (Kurt Cobain)? I think it all comes down to personality; Rossy de Palma simply cannot be anyone else but herself. So, who is your own, dead or alive, style icon? Please share! This entry was posted in Uncategorized and tagged Louis Vuitton, Museum of the city of NY, Notorious&Notable:20th Century Women of Style, Pedro Almodovar, Rossy de Palma. Bookmark the permalink.